Starting where "Boku no Idol" left off, the school's Cultural Festival is now over and the idol performance was a great hit! However, Aizawa Momoka has started to develop feelings for her childhood friend Hirano Harufumi. 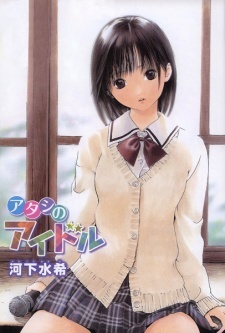 Can Momoka overcome her shy disposition in order to let Harufumi know how she feels? Or will her new fan club and clumsy nature get in the way?